When should you get a virtual second opinion? If you’ve been diagnosed with a serious, complex, or rare health problem or received a recommendation for surgery, getting a second opinion can help you avoid misdiagnosis and choose the most appropriate treatment. In fact, some studies found that about 20% of people seek a second opinion and that percentage rises to 50% for people who are diagnosed with cancer. The best plan is to seek a second opinion from a specialist with broad experience treating the condition you face who is current on the latest approaches to diagnosis and treatment. Many of these experienced specialists practice at larger, academic medical centers. But what should you do if you live in an area where these specialists or medical centers of excellence are hours away? One option is to seek a remote or virtual second opinion. Many leading medical institutions, including Yale, Emory, UCLA, Massachusetts General Hospital, Dana Farber Cancer Institute, Lurie Children’s, Baylor Scott and White, and NYU now offer this service. There are also independent companies that consult with specialists to provide virtual second opinions. 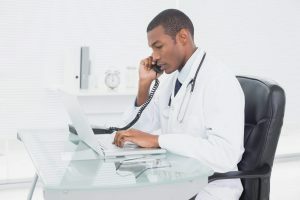 Once the information and your questions are received, specialists review the supporting evidence and provide you with their diagnosis and treatment recommendations by email or through a phone or video conference consultation. In some cases, the virtual second opinion will confirm the recommendation you received locally. In others, it will suggest a different diagnosis and/or treatment plan. The advantage of seeking a virtual second opinion is that you benefit from the experience and expertise of leading specialists in the field. A health advisor can play a valuable role in this process. An advisor can gather your medical records, test results, and images from all the physicians you’ve seen and send them electronically to the specialist who will provide the second opinion. In addition, an advisor can put the information the specialist provides into layman’s terms so it’s easier for you to understand. If you’d like help getting a virtual second opinion for a health problem you or a loved one faces, you can learn more here.